From the stress that impacts greenkeepers to the growing trend of offering two distinct loops of nine holes rather than 18 holes, The Golf Business editor Alistair Dunsmuir reviews the final month of 2018. Prince’s Golf Club in Kent has launched a junior foundation with the aim of bringing through the next generation of local golfing talent to elite and professional level. Bigbury Golf Club in Devon has received the GolfMark award. Lying on a tilted slab of ancient volcanic lava in front of the historic Stirling Castle is Stirling Golf Club, one of Scotland’s oldest golf clubs, which is preparing for its 150th anniversary. The owner of a golf club in southern England has said ‘pretty much all’ golf clubs will ignore a new directive that the ‘drop where lost’ golf rule should not be permitted in club competitions. A crowdfunding page has been created for the steward who lived at Machrihanish Golf Club’s clubhouse, after the building was destroyed by a huge fire. Two historic Scottish golf clubs have agreed to merge with each other in response to their respective dwindling memberships. A mental health charity that provides horticultural training has helped to create an environmentally-friendly flood defence to protect Rothbury Golf Club in Northumberland. 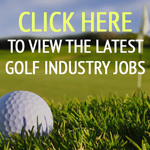 Gordon is the head PGA professional at Middlesbrough Golf Club. He talks about his approach to controlling stock in the pro shop and why more pros are investing in high-end technology. The Welsh venue has invested in a new irrigation system, enhanced its practice facilities and improved its men’s and ladies’ changing rooms, and is reaching out to women, children and people with disabilities. Golf clubs have been warned that they should take seriously the health and safety of their staff after a Kent venue was ordered to pay more than £10,000 after an employee suffered burns. The club secretary at Silloth on Solway Golf Club in Cumbria says selling television rights to tournaments to certain broadcasters may make financial sense – but at what cost to the game? There has been a spate of major hotel brands buying UK golf resorts in the last few weeks – possibly fuelled by an increase in tourists visiting some parts of the UK in the last two years due to the weakness of the pound. Aged 14 Tom dreamt of owning a golf course. Now, aged just 36, he owns a spectacular facility in Lincolnshire. In the interim, he managed golf clubs. Here, he details his surprising journey. Shona McRae, Assistant Director – Rules, The R&A, details a new resource for committees for 2019. An inquest has heard that a greenkeeper at Wentworth Golf Club died after deliberately driving his van into the River Thames, following a night of drinking. The commercial wing of the St Andrews Links Trust has lost its appeal to register the town’s name as an EU trademark for services relating to golf. As we are now in the festive season, the NGCAA takes a look at some of the key issues relating to venue hire and the unfortunate situation of possible damages to your function room. An historic golf club has had its future secured after East Riding of Yorkshire Council agreed to sell the 118 acres of land that the golf course resides on to it. An historic golf club in Hertfordshire, which has been open since 1923, has ceased trading – at least the sixth golf club to do so in the last six weeks. The CEO of The PGA talks exclusively to The Golf Business about the #WeLoveGolf hashtag, which is getting more women to play the game.